There are diseases that become forever associated with a famous victim. Michael J. Fox is active with research for Parkinson’s Disease. Mary Tyler Moore was a lifelong diabetic. Jerry Lewis, although not a victim of the disease, will always be associated with the marathon television fundraisers he organized and helmed for Muscular Dystrophy. One particularly insidious disease had, as its most famous victim, Mr. Cool, himself – a man who once said, “You only go around once in life, and I’m going to grab a handful of it.” And, boy, did he ever! This famous actor once was at the top of Charles Manson’s “hit list.” It was by sheer luck that this A-lister was not present the night Manson’s minions struck and killed Roman Polanski’s pregnant actress wife, Sharon Tate, and her entourage at her Los Angeles home. (After learning his name was on a Manson “hit list,” the star began carrying a gun.) His last words were said to be, “I did it,” although other reports say he died in his sleep under an assumed name (Sam Shepherd) at a Juarez, Mexico clinic. This mega-star died of mesothelioma – a cancer affecting the lining of the organs, such as the lungs, heart and/or abdomen. Who was he? More about that in a moment. Those symptoms mimic many other diseases, and victims often do not seek help until their illness is too far advanced for effective treatment. Even cases that are caught early have a grim prognosis. The famous face of mesothelioma mentioned in paragraph two has been named one of the Top Thirty Movie Stars of All Time on various polls. His work has been cited as an influence on actors working today, like Bruce Willis and Colin Farrell. 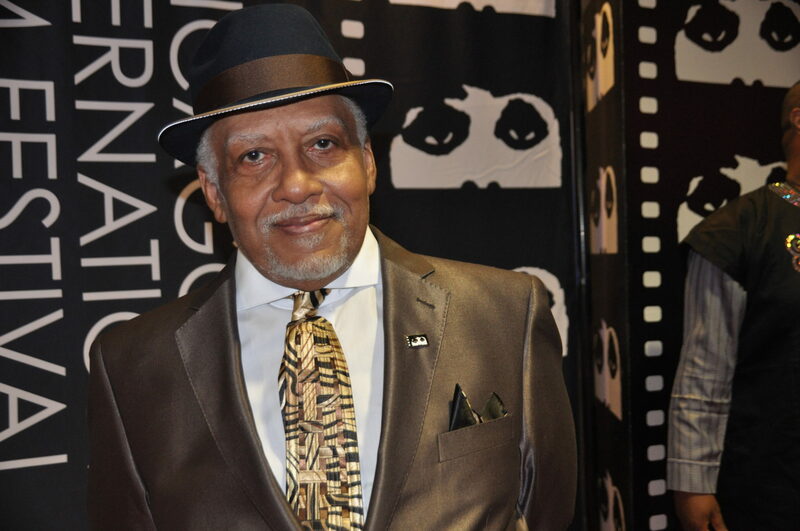 He once said, “I live for myself, and I answer to nobody.” That maverick anti-establishment attitude informed his work and his life—and made it more difficult to get him to consult a doctor when he first noticed a persistent cough in 1978. Although he gave up his cigarette habit and underwent antibiotic treatments, he did not improve. Finally, after filming one of his final films, “The Hunter,” Steve McQueen had a chest X-ray and a biopsy. The biopsy revealed pleural mesothelioma, an aggressive and rare cancer directly caused by exposure to asbestos. The most likely explanation for why McQueen contracted the disease is also in keeping with his rogue image: he was a Marine at one point early in life and was sent to the brig for not reporting for duty, but being absent without leave (AWOL) to spend time with a woman. Part of McQueen’s punishment was to remove asbestos from pipes aboard a troop ship. McQueen also speculated that Hollywood’s love affair with asbestos, which was used on movie sets to create fake snow from 1930 to 1950, might have exposed him to the deadly carcinogen. The use of asbestos occurred in movies as famous as the Bond film “Goldfinger” and “It’s A Wonderful Life” (although not used in that Jimmy Stewart picture as snow, because a substance known as foamite had been invented for that purpose in 1946). Asbestos was used to decorate other parts of the “It’s A Wonderful Life” set and it was used in the CBS Network facilities building for years, where another veteran character actor, Ed Lauter (“The Longest Yard,” “The Family Plot”), worked for many years. 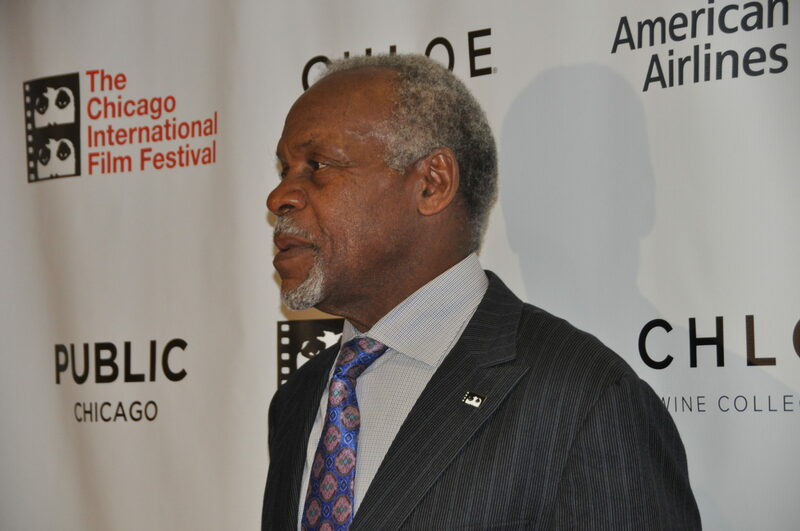 He died of the disease in 2013 at the age of 75, only five months after his diagnosis. In 1942, when Bing Crosby sang “I’m Dreaming of a White Christmas” in the film “Holiday Inn,” the snow falling was actually asbestos, and 1939’s “Wizard of Oz” relied on asbestos for the poppy field scene. Stunt men who wore flame retardant suits in films were exposed to asbestos (McQueen did many of his stunts himself and “Towering Inferno” was one of his biggest films) The suits that race car drivers often wore contained asbestos in the early days; McQueen was a well-known racing enthusiast of both fast cars and motorcycles. Steve McQueen’s efforts to find treatment led him to Mexico to undergo questionable treatments by a man (William Donald Kelley) who promoted a version of the Gerson therapy. It used coffee enemas, daily injections of fluid containing live cells from cattle and sheep, massages, frequent washing with shampoos, and laetrile, which is derived from apricot pits. Nothing worked. McQueen paid upwards of $40,000 a month ($116,000 in today’s dollars) for the treatments over three months in Mexico. (Kelley’s medical license was revoked in 1976). Against his U.S. doctor’s advice (U.S. doctors said his heart was too weak), Steve McQueen underwent surgery to remove huge tumors that had, by that time, spread to his liver, neck and abdomen. [The liver tumor, alone, allegedly weighed five pounds] McQueen died of cardiac arrest at 3:45 a.m., twelve hours after surgery on November 7, 1980, at age 50. The El Paso Times said he died in his sleep. He was cremated and his ashes were spread over the Pacific Ocean. Meanwhile, the asbestos that took Steve McQueen’s life at age 50, almost 40 years ago, is still legal in the United States. First responders to the 9/11 attack in New York City on September 11, 2001, survivors present in the city and those involved in cleanup at the site were exposed to asbestos, as it was used in the construction of the North Tower of the World Trade Center. Hundreds of tons of asbestos was released into the atmosphere as a result of the airplane attacks. 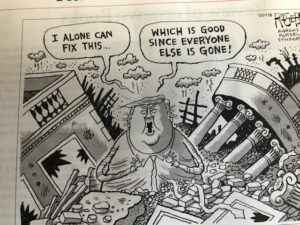 My own nephew, an architect, was in charge of plans by an architecture firm to remove asbestos from schools in Cedar Rapids, Iowa, that took place within the last five years. Organizations like the Mesothelioma Cancer Alliance work year-round to educate people about the dangers of asbestos. Steve McQueen’s death was only one of thousands that year, but people are still being exposed to the mineral today and thousands will be diagnosed this year. Maybe it’s time to step up and make asbestos illegal in the United States? I’m posting this before I begin to attempt to clean up and go off to a Super Bowl party. Being a newcomer to Austin (TX) as a snowbird, I cannot afford to turn down any invitations, but I am in the throes of a head cold that has rendered sleep somewhat peripatetic and caused my nose to run. Here in Austin, the biggest and closest grocery store is one with the name H.E.B. I have no idea what “H.E.B.” stands for, but “Help! Everything is Bolloxed!” comes to mind. On the bad side, you walk for miles trying to find anything. The store is roughly the size of a Sam’s Super Store in the Quad Cities. On the good side, the prices see far lower for most things (although the quality of the meat is suspect). Let me be specific: all I wanted was a Coricidin type cold remedy that would staunch the runny nose I am experiencing, which, I think, I may have caught from my son, who also has a cold. I gave son Scott the last of my cold remedy medication from home and the Tylenol thing I bought yesterday does not mention stopping a runny nose. Nor has it done so. On the bright side, I could breathe in the night, but I turned like a chicken on a spit, tossing and turning as I experienced all the fun drainage of a cold. Two days ago, it was 83 degrees here, tying a record set in 1963. Then, it dropped about 40 degrees and spit rain. The problem (besides exposure to the virus somewhere) is that I had to go out in the spitting rain 2 days in a row, to secure the necessary vitals for a Saturday night dinner. I also wanted to purchase a painting to put on the wall of the guest bedroom, as the one I had originally seen at a store called “Tuesday Morning” had sold in one day. I like the painting and the son with the cold was going help the husband hang it on the wall of the guest bedroom IF I had it. So, 2 days in a row when I already felt sort of punk and the weather was not ideal I went out in the spitting rain and visited a minimum of 3 stores each time. Now, I’m paying the price. Oh, well, last year there was no moisture at all in the entire month of February, so hopefully the predicted warm-up will take my cold with it. On another front, gas here at some stations is $1.83. As for the Super Bowl, I could care less who wins or who plays, but I would root for the underdog (Atlanta) in any contest and most certainly would do so when it is common knowledge that the Quarterback of the Patriots is a big buddy of the Trumpster. Go Falcons! Danny Glover accepts the Visionary Award from Cinema Chicago founder and artistic director Michael Kutza. 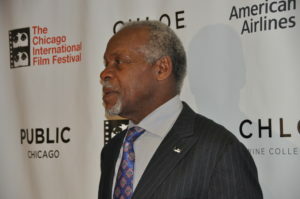 Danny Glover appeared in Chicago to promote the Nigerian film “93 Days” and accept a Visionary Award from Festival Founder Michael Kutza.The film “93 Days,” based on real-life events, follows the Nigerian effort to stop the Ebola virus from spreading, when it was introduced into the capital city of Lagos (21 million people) in 2014. Director Steve Gukas and star of “93 Days” Danny Glover. 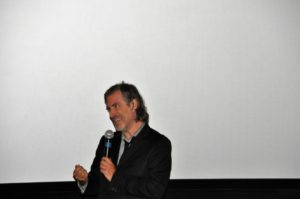 As Director Steve Gukas said, “This film is about our inter-connectedness. The sacrifice of a few actually saved the lives of many the world over.” The trailer looked good, so I gave the film my attention for what seemed like an interminable 124 minutes of time. The film has international distribution at this time, but no U.S. distribution yet, so my remarks about the film must wait for later. 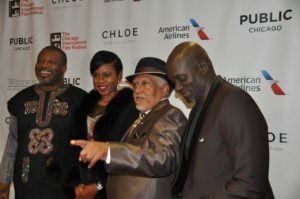 (L to R) Producers Dotun Okahunri, Bolanie Austen-Peers, Pemon Rami and Director Steve Gukas. Producer Pemon Rami of Chicago. The only United States producer on the project was Pemon Rami, who is one of the elders of black cinema and has been involved in the development of TV shows, films, music concerts, documentaries and plays for more than 60 years. 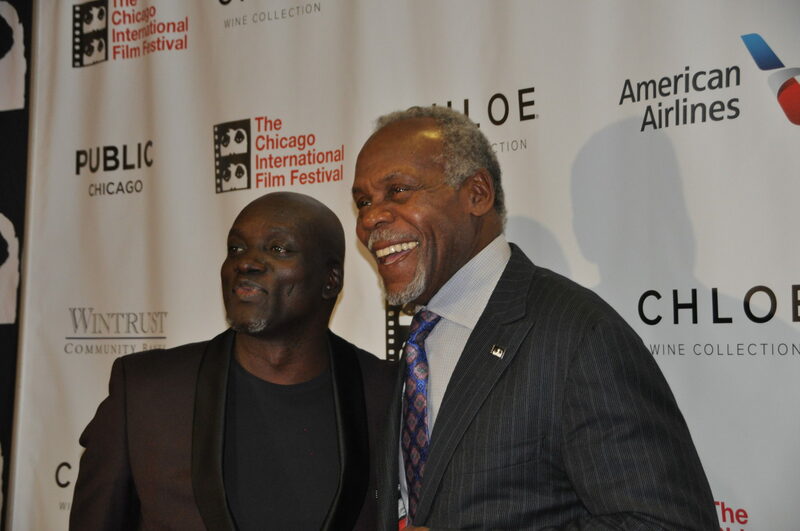 He is the first African American casting director for Chicago films. 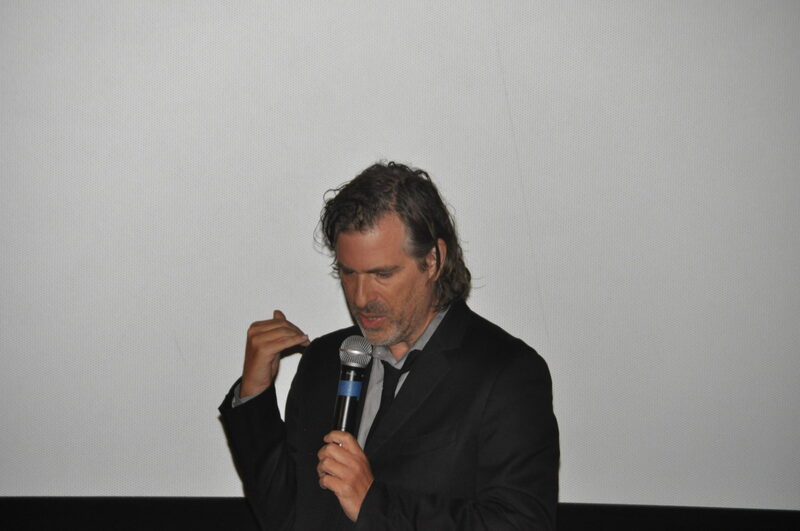 When asked about his experiences helping make “93 Days,” Pemon said, “I was the only producer from the U.S. I was there for 3 months working on the film. We were in places in Nigeria that you don’t typically see. Some of the places the houses all looked like the White House!” When asked how Danny Glover became involved with the film, Rami said, “When he read the script, he wanted to be involved in a bigger way.” As it is, Glover’s part is bigger in the opening parts of the film when the crisis is being diagnosed than it is during the “solve-this-problem” parts of the film, when actor Tim Reid, playing Dr. David, took over. 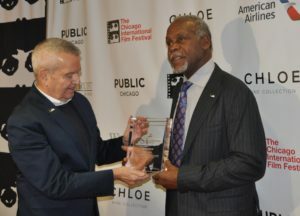 When Festival founder Michael Kutza mentioned that an invitation to attend Chicago’s Film Festival has been extended on three earlier occasions, Glover vowed it would not be his last visit and said, “You know, I was in Hyde Park in New York City accepting an award just a day or so ago, and then I had a commitment with the school board there. Then I was cooking dinner for Harry Belafonte at his home the other night, at Idlewild to honor labor leaders, and at the 50th anniversary of the Black Panther Party on Saturday.” In other words, Glover keeps busy, and he was nowhere busier than in Chicago where he appeared in not just one, but three separate film entries. The German film “24 Weeks” from Director Anne Zohra Berrached was screened in Chicago for 8 members of the press on Wednesday, October 5th. It is the story of a popular stand-up comedienne (think a German version of Amy Schumer) who finds herself pregnant by her live-in long-time love and manager, only to discover, several months into her pregnancy, that her unborn child will have both Down’s syndrome and a serious heart condition. 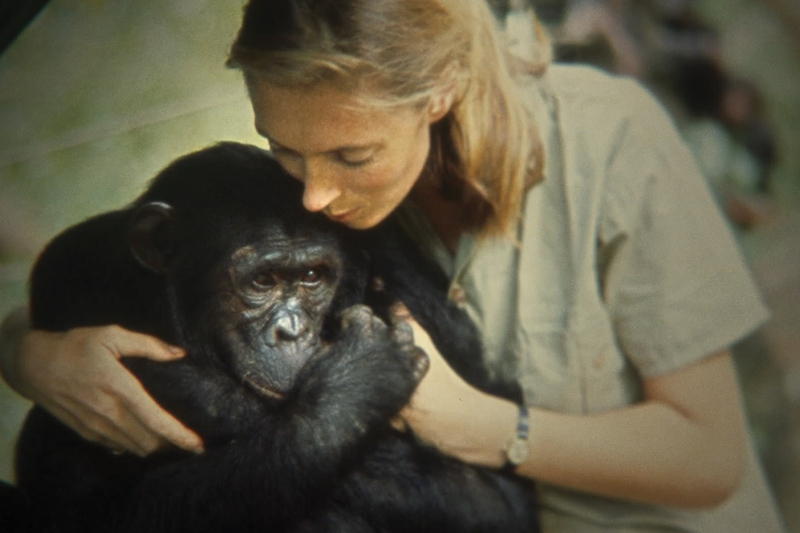 Movingly portrayed by German actress Julia Jentsch, this is not a “feel good” movie. Comedienne Astrid Lorenz (Julia Jentsch) shows every sign of being a woman on the fast track to comedy success. Onstage, she even jokes, “You can tell a decent joke and lactate,” to an adoring audience. That is all before the couple discovers the health problems their second child will face. Astrid’s partner, Markus Hager (Bjorne Madel) wants to go to any lengths to have this second child, who will be a younger brother to their daughter, Nele (Emilia Pieschke). The couple is preparing to accept the Down’s Syndrome baby into their lives and visit similarly afflicted youngsters, taking their young daughter. Then their housekeeper, Kati, announces that she is not prepared to stay on and help them, and they turn to Astrid’s mother, who seems to be Astrid’s last hope. Astrid’s manager and live-in love of 8 years, Markus Hager (Bjorne Madel) is very pro-life and wants to do everything to make this second child happen. (“It feels wrong somehow to decide whether a human being lives or dies.”) Astrid (Julia Jentsch) is initially in synch with her spouse’s wishes. 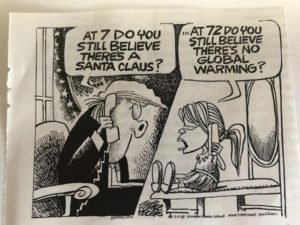 But, as time goes on, she becomes more convinced that, as she explains to their young daughter, Nele (Emilia Piescke), “I don’t think he (the unborn fetus) will have a nice life.” Accusations come her way from Marcus that she is only thinking about her career and I honestly was waiting for the entire relationship to spiral out of control. (“Things fall apart; the centre cannot hold.” William Butler Yeats). This is a film about life-altering decisions and the people who have to make them. It is extremely well acted and well written (also by director Anne Zohra Berrached). The topic is still an ongoing debate in this country and will continue to be after the upcoming election. Abortion and capital punishment are always “hot button” issues; that will probably always be the case. And, no, I won’t tell you what Astrid decides to do.